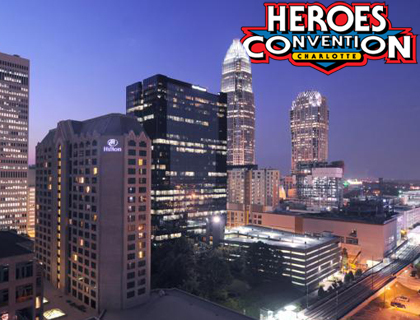 THE HEROESONLINE BLOG | HEROESCON 2014 :: NEW HOTELS ADDED WITH DISCOUNTED CON RATES! HEROESCON 2014 :: NEW HOTELS ADDED WITH DISCOUNTED CON RATES! 2 new hotels have made a discounted rate available for HeroesCon 2014 guests! Get these rooms while you can! HeroesCon 2014 Rate Now Available! Enter code G-HERO in the “Corporate or Group Code” Section. ← HEROESCON 2014 :: GUEST LIST UPDATE :: POWELL! JEANTY! & MORE!